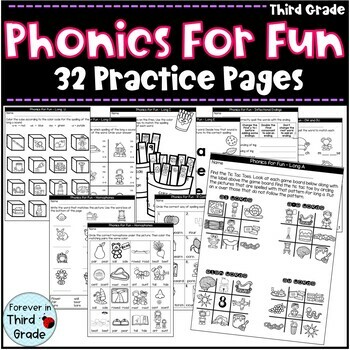 These phonics worksheets are perfect for when you want to add additional practice to your reading and spelling lesson covering the phonetic or spelling skill for the week. Since they provide extra reinforcement for the phonetic sounds or spelling skills, they do not have to exactly match any spelling list, but the skills do match typical third grade spelling lists. They match mine wonderfully! 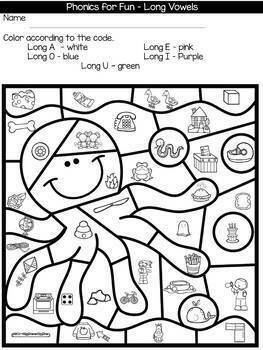 These 30 worksheets match up with my Phonics for Fun games. Games are not included in this set. Click on the bundle below to see the games. 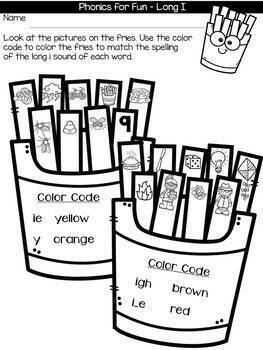 These are also perfect for when you want additional practice for the phonics skill being practiced in the weekly spelling list while providing some support during the initial exposure to the game. 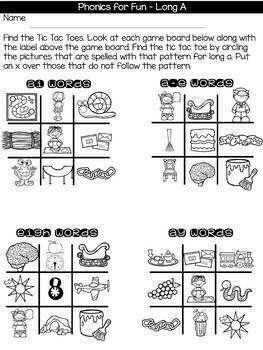 How do I use these games and worksheets? I begin one of my guided reading sessions introducing the game for the week and playing it briefly or going through the words included in the game. The game then goes into my centers to be played again. The practice sheets are then used as a reinforcement for the phonetic pattern during a seat work time. My students enjoy the variety of the games and look forward to playing them during the week. The words don’t have to exactly match your spelling list to provide practice of the spelling pattern. variant vowels, blends, closed syllables, open syllables, compound words, digraphs, el and le, /ew/ sound, hard and soft c and g, inflectional endings, long vowels (6), short vowels (2), oi and oy, ow and ou, silent letters, plurals (2), prefixes (2), homophones (2), and r-controlled (3).